I cannot believe that Canadian Thanksgiving is only one week away. It is on Monday October 12th. For this holiday I will be making this delicious Turkey stuffed with bacon, walnut and dried cranberries. It is as delicious as it sounds. I like the combination of sweet and sour. Cranberries are the perfect sweet addition to any given Turkey. As much as I love quick recipes, the following one requires quite some time. The result is worth it. Your guests will love every bit of it. 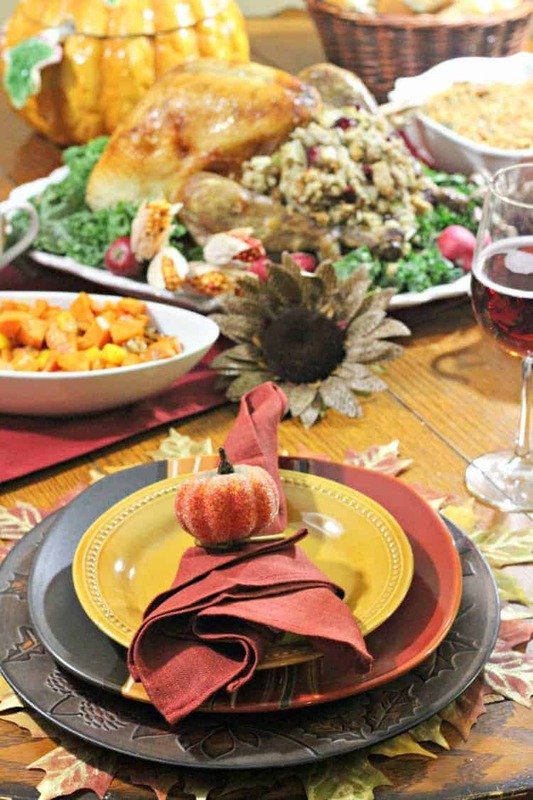 Grab a coffee, tea and read on how you can make this delicious Thanksgiving dinner for your family and friends. 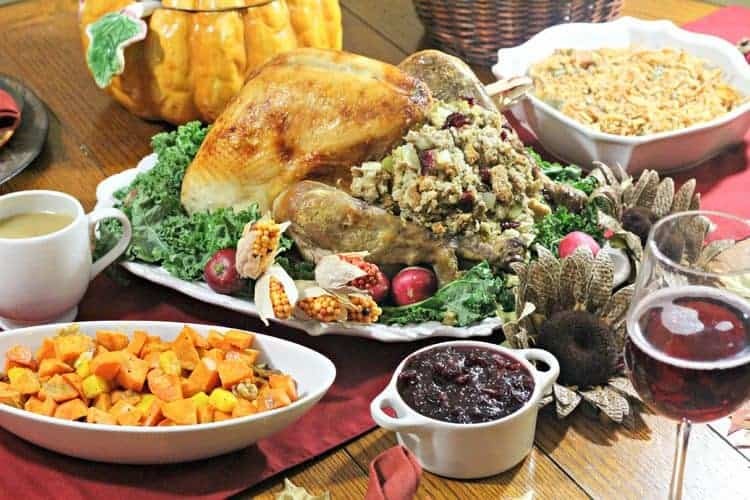 Want to learn how I made the delicious sides that accompany this Turkey, get the recipe here: Sweet & Sour Pumpkin and Sweet Potato Thanksgiving Side Dish Recipe. What do you put in your turkey on Thanksgiving? Have you ever tried a turkey stuffed with bacon, walnuts and cranberries? 14-17 lb turkey, thawed, removing what is inside. Add chicken stock, lemon juice, garlic powder and pepper. Add salt just until you can taste a slight salty flavor. Pour into a small plastic water bottle with a lid. Shake to mix all ingredients. 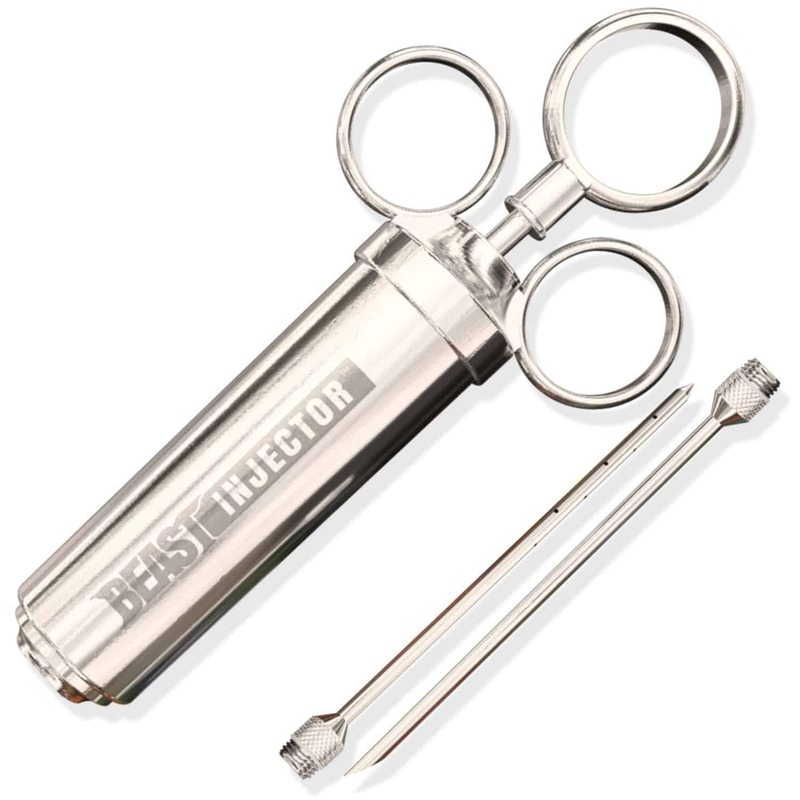 Using a match or lighter heat up the end of the injector needle. Push the needle through the cap of the water bottle. Pull the plunger of the injector all the way back to fill with air. Using a piece of thick tape to cover the hole push the plunger back down to inject the air back into the bottle. Using the bottle with it upside down (with the injector still in it) pull back the plunger to fill the injector container. Sitting the turkey on a platter use the injector to get the butter basing into the turkey. Insert the needle all the way to the center while pressing the plunger. Repeat this about 1 inch or 2 apart working to inject 1 ounce per lb. Allow the turkey to rest for about an hour so that it will spread throughout the turkey. Line the roasting pan with foil. Place the roasting rack on top of the foil lined pan. Put the turkey on the rack now rub the soft butter all over the turkey. Build a foil tent to cover the turkey. Bake on 350 degrees for 3 hours or until an pop up thermometer pops out. Allow the turkey to set aside for 20 minutes before serving. When melted, add onions and cook over medium heat until lightly browned. Add the celery and 1 tablespoon of broth, and cook for 8 minutes. Add in eggs and toss until evenly moistened. Season with salt and black pepper. Pour the broth in, and mix well to coat all bread cubes. Add in cranberries, bacon and walnuts. Transfer the cooked vegetable mixture into the large bowl with the bread crumbs package . Place the stuffing mixture to a lightly buttered baking dish and cover with foil. Bake at 325F for around 40 minutes. Remove the foil cover and broil for a few minutes until top of stuffing turns brown and crispy. Add chicken stock lemon juice, garlic powder and pepper. Your stuffing recipe is unique and sounds really delicious! We usually go with sausage, but bacon in stuffing sounds fabulous! Thanks for sharing on the #HomeMattersParty . I hope you will join us again next week. This sounds amazing! I am pinning this so I have it in a few weeks. Hard to believe the holidays are almost here. This is amazing! We want to host Thanksgiving this year- how epic would this be?! That looks so awesome. I would love to try this for Thanksgiving! Yum this sounds heavenly! My husband does all our turkey dinners. I wish I would have seen this recipe before he started today I’d love to be giving it a try! Goodness, this looks amazing! Thanksgiving will be here before we know it! Is it that time already to start thinking about Thanksgiving dinner? I don’t want the warm weather to be gone! You had me at bacon! This sounds phenomenal! Yum! This does sound delicious but there is no way I would want to take the time to make it. Thankfully I generally go to a friends house for Thanksgiving! !